Our company is a locally owned and operated Tennessee company started in 2002. Alarm Services Group is currently protecting thousands of homes in Missouri and around the Mid-South and East Coast with our state of the art security and alarm systems. Our goal has been to offer the best security alarm systems as possible to our customers in order to help them and their families feel safe. 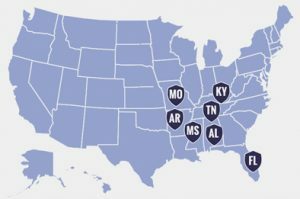 Through hard work and a commitment to provide a quality product and provide outstanding service we have continued to grow and are now serving Alabama, Arkansas, Florida, Mississippi, Missouri, Kentucky and Tennessee.